Everyone is a typographer. This is the inevitable conclusion when looking at the way in which today’s computer users are forced to make decisions about fonts and layout for their day-to-day communication. Writing, typesetting and printing have become part of almost everyone’s experience. However, many users are clueless about how fonts work, what constitutes a functional layout and how to communicate best with readers. There has even been a decline in basic typographic knowledge among young design professionals. And yet, a thoughtful and purpose-driven shaping of text lies at the basic of effective, powerful graphic communication. Shaping Text takes a practical and broad approach to typography. It is aimed at design students and graphic designers, and also at those who are concerned with content: writers, editors and publishers. Showing a wide range of examples from first-rate designers across the world, the book examines why and how typographic designs work well in a given context. Particular attention is given to the team play between the text itself - written language - and the design - the shaping of the text - to form a new, multi-level visual message with a complex content. Many textbooks on typography look at the details of type and lettering first, often taking a historical approach, then zoom out to gradually reveal a larger whole. Shaping Text works the other way around. 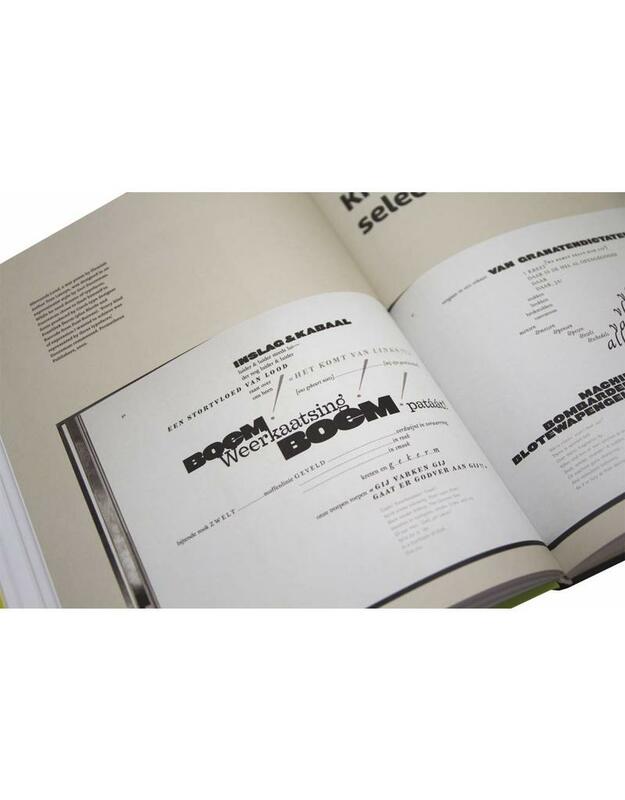 It starts by looking at graphic products - in print, on the screen and in the environment - and then examines the constituting elements, including type, image, ornament, layout, and colour. Historical examples are used as references for most genres of text-shaping; a chronological overview of type design and printing techniques forms a lengthy appendix rather than the core of the book. Finally Shaping Text is firmly rooted in contemporary design praxis. It discusses the state of the art in type design and technology, and tackles problems and questions that font users may be struggling with. 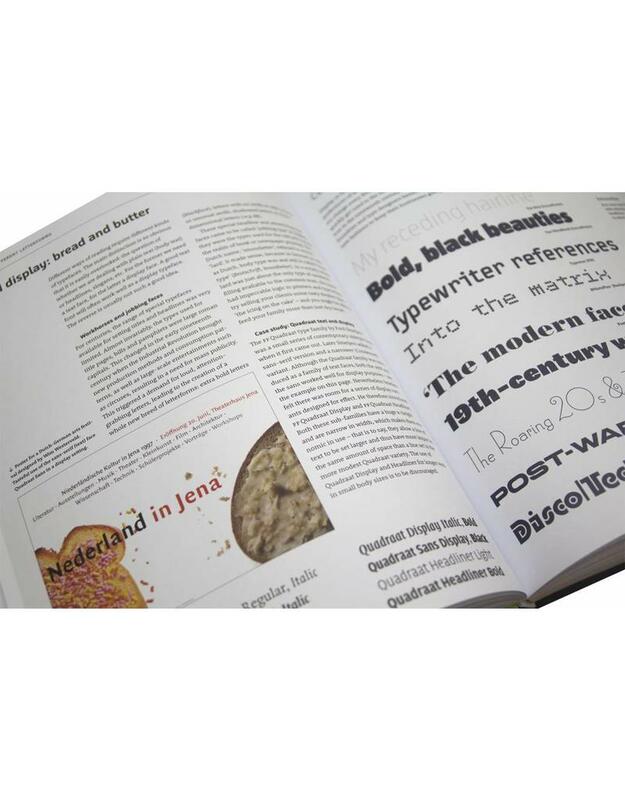 Besides being a typographic writer and consultant for leading companies such as FontShop and MyFonts, the author has worked as a graphic designer and teacher; Shaping Text reflects this broad experience with typographic form and content. Born in the Netherlands, Jan Middendorp works in Berlin as an independent writer, translator and consultant. He teaches at Weißensee Art College in Berlin and the Plantin Institute of Typography in Antwerp. In the past, he has been a guest professor in Mérida (Venezuela), at the American University in Dubai (UAE), and at St Lucas College, Ghent (Belgium). 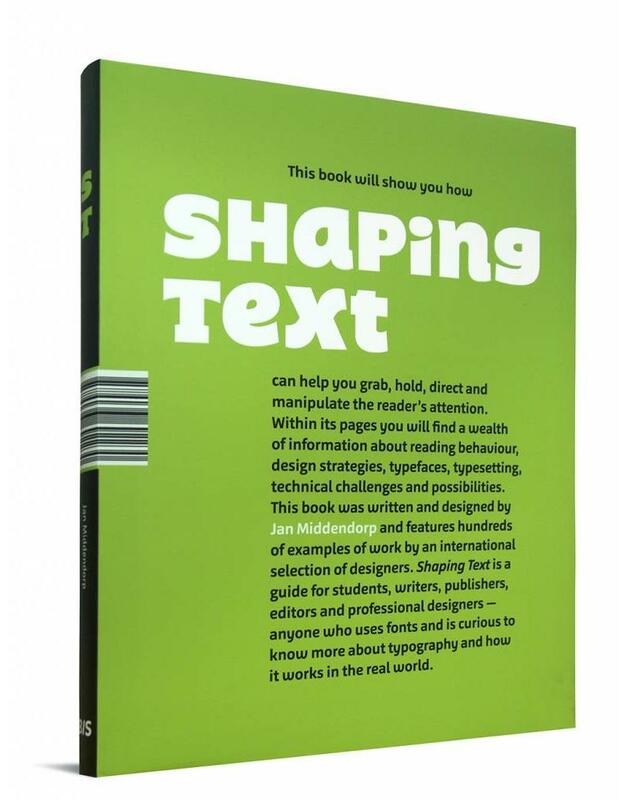 During the past fifteen years Jan has edited, written and co-written a number of well-known books on graphic design and typography.
'' With its many contemporary practical cases, analysed when necessary in considerable detail, Shaping Text has all the qualities needed to become a classic''.